Cushioned, click ball point pen with black ink. A cushioned, retractable ball point pen with black ink. 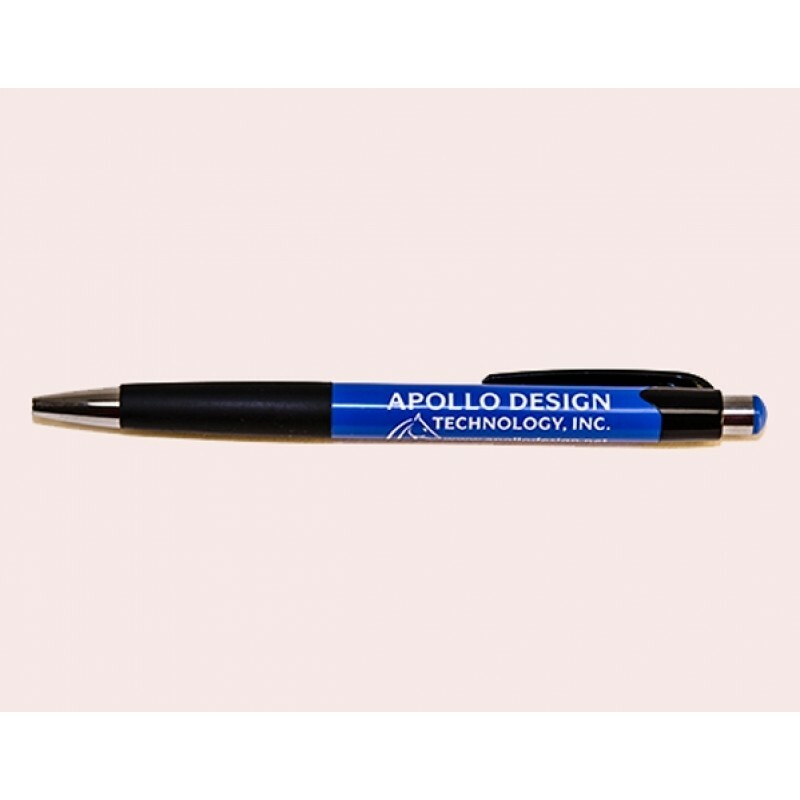 The body of the pen is blue with the Apollo Logo.